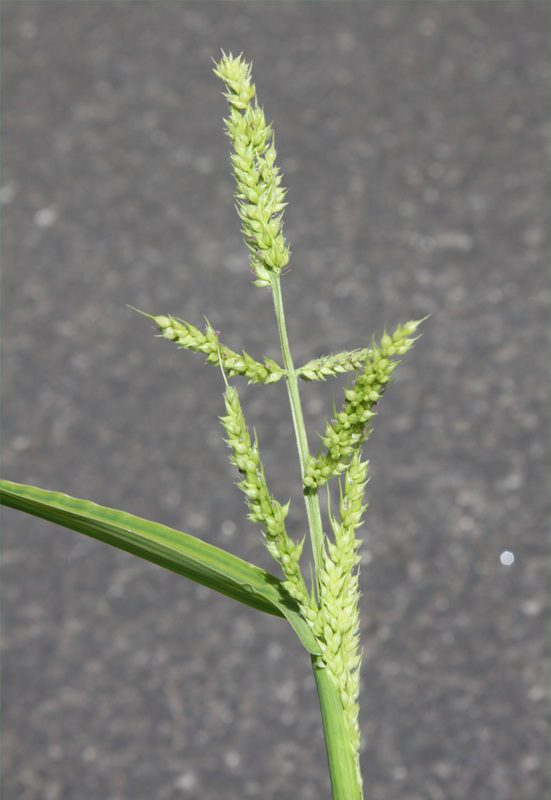 Spikelets are crowded in twos or threes on one side of the axis. 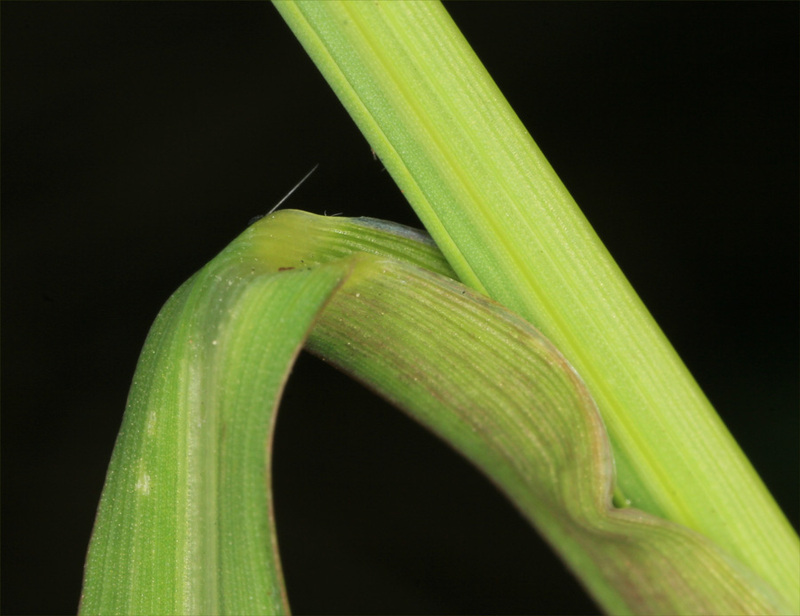 Each falls entire at maturity, 3-5 mm long, with two florets, the lower barren the upper bisexual. 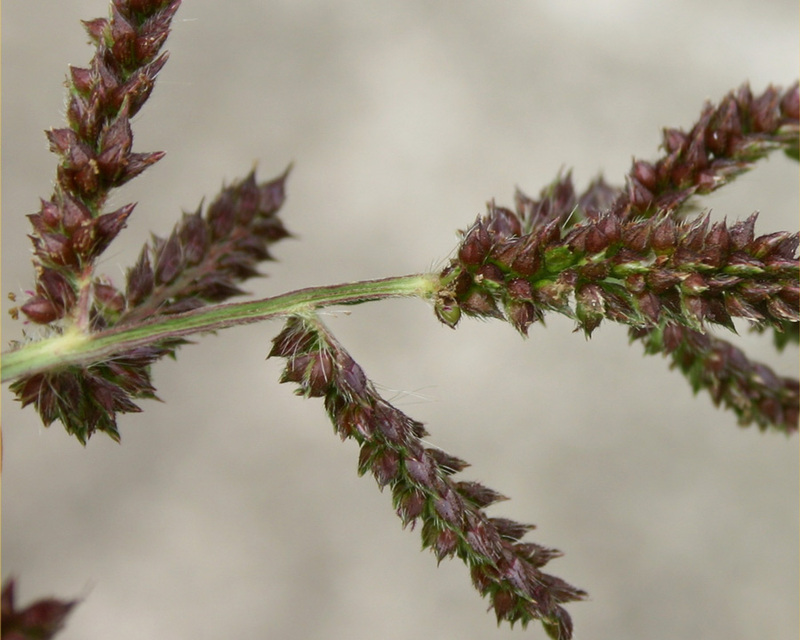 Echinochloa telmatophila has long awns in the flower head and is much less common, only found in coastal areas on damp sand flats, on river banks or in roadside gutters in North and South Auckland. It is now found in tropical and temperate countries throughout the world. Some seeds can germinate soon after they mature whilst others may not germinate for several years, especially if buried in the soil. 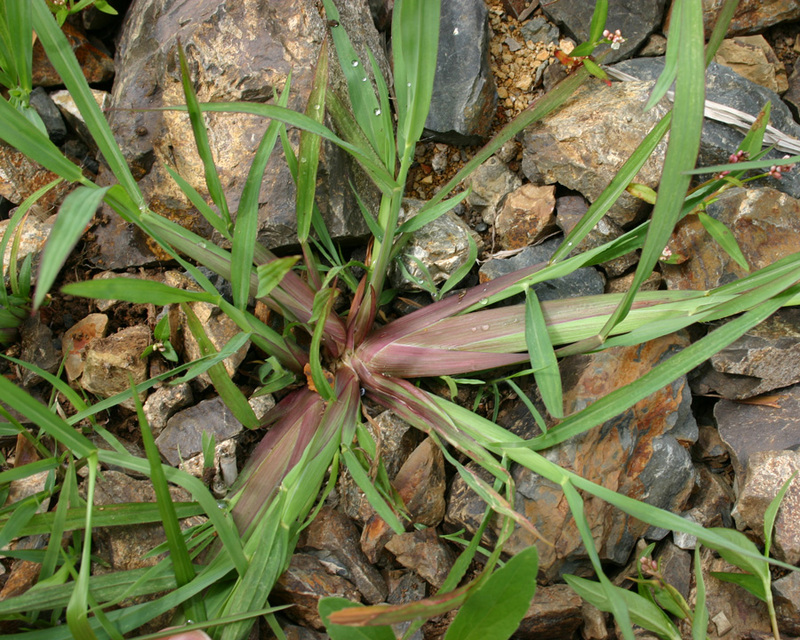 Barnyards grass has occasionally been grown as a grain and in some circumstances it can provide fodder for livestock. However it is not a reliable source of fodder. 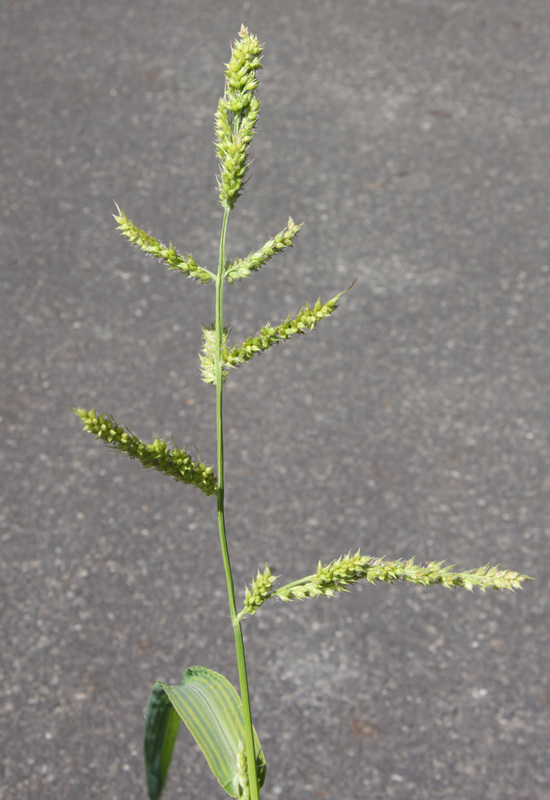 Barnyard grass is rarely a problem in pasture because its seeds cannot germinate in the shade of other plants and it germinates when pasture species are growing quickly. 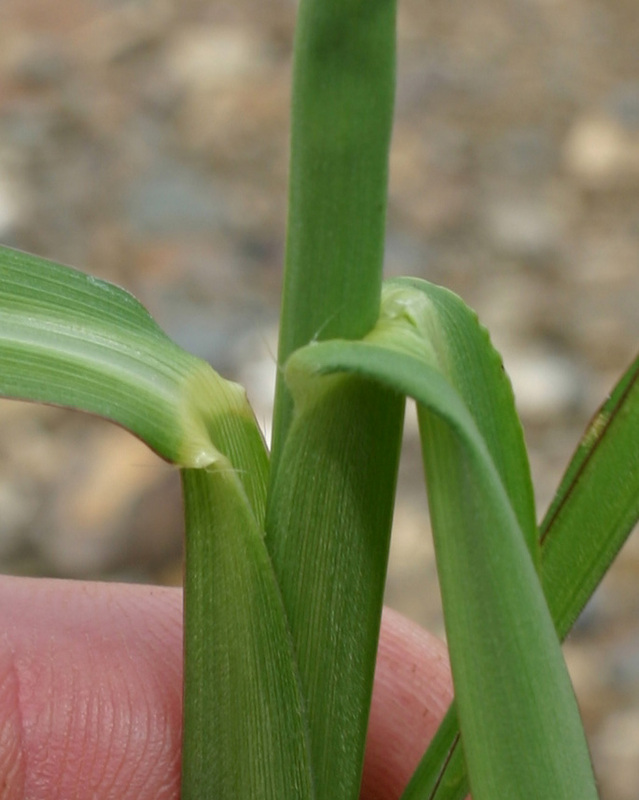 It is a major weed of rice, and is known to reduce yields in maize and other crops. Crop rotation can be a useful tool for limiting the build-up of weeds. Continuous cropping with the same crop builds up weeds that match the growth patterns of the crop. This should be avoided if at all possible by alternating maize, for example, with non-grass crops. As the crop grows it is important to monitor for weeds that have emerged despite the pre-emergent herbicide, so that post-emergent herbicides like nicosulfuron, mesotrione or topramezone can be applied early enough to be effective. Healy AJ, Edgar E 1980. Flora of New Zealand. Volume III. Adventive cyperaceous, petalous & spathaceous monocotyledons. First electronic edition, Landcare Research, June 2004. Transcr. AD Wilton and IML Andres. (accessed 4 October 2016). Weed management for maize. FAR Focus 11, Foundation for Arable Research, October 2013. (accessed 4 October 2016).